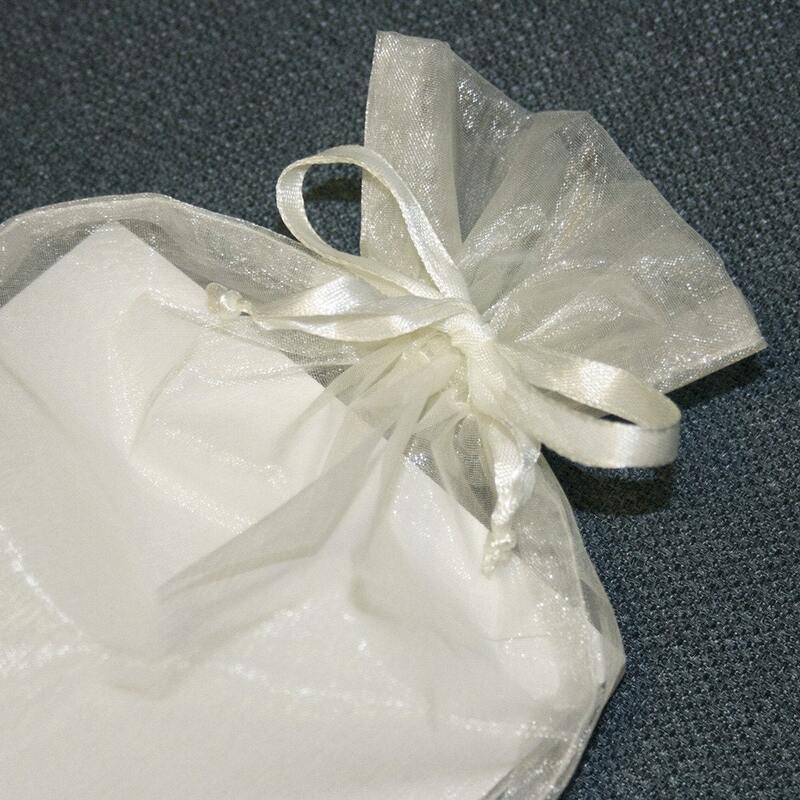 This cream-colored, translucent organza bag, with its satiny ribbon tie, adds an extra bit of flourish to any of our note card sets or our NC Seasons desk calendar! 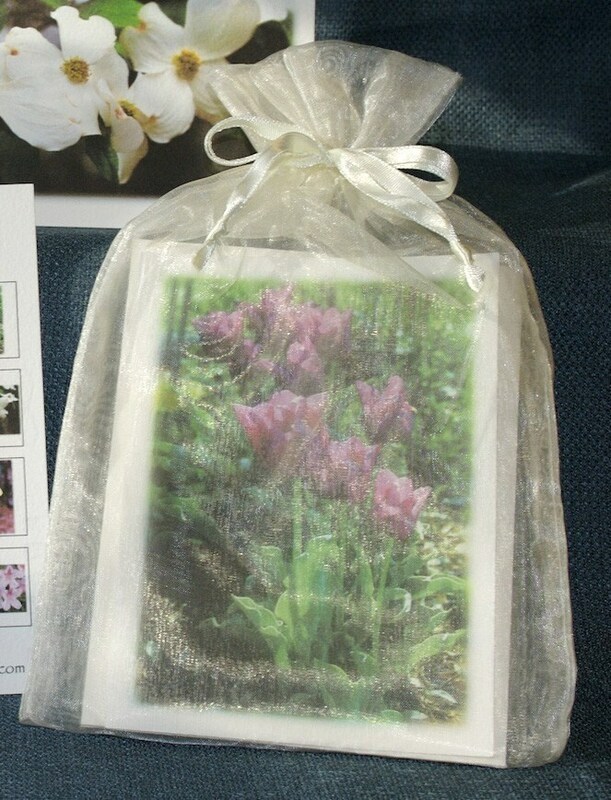 If you are ordering for a gift, or just want to treat yourself, this is the way to make our special items... well, just a little extra special! 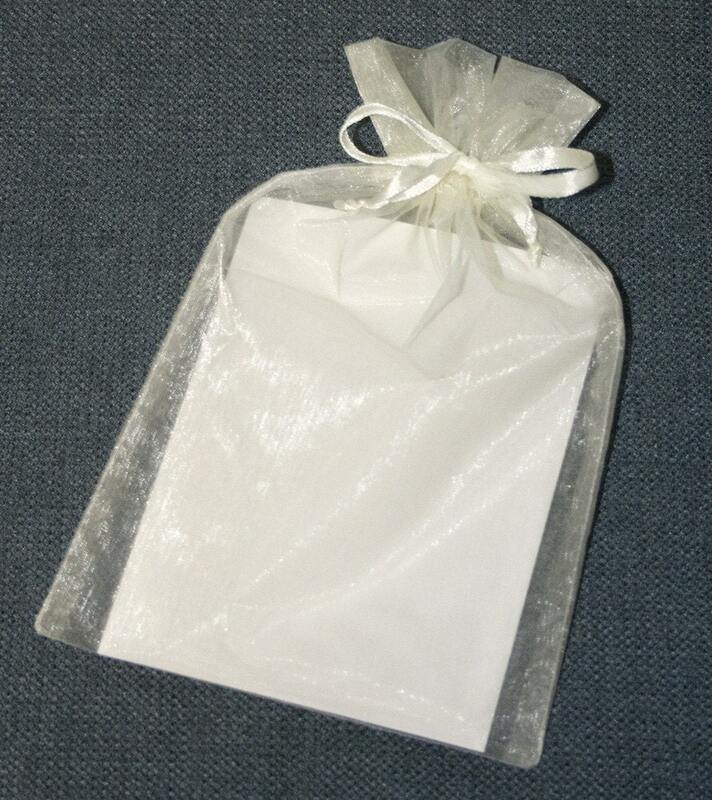 These bags will accommodate from four to twenty cards, so if you'd like to create a custom set, please contact us! The perfect gift wrap for your calendar. Thank you. Perfect gift wrap accessory, nice finishing touch. Love the bags too, they're perfect for gift giving.